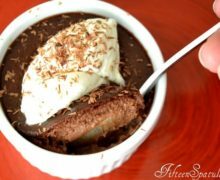 These make-ahead Chocolate Pots de Creme are silky, creamy chocolate goodness! Only six ingredients are required for a simple custard that’s easy to prepare. It’s topped with a White Chocolate Whipped Cream for extra decadence! 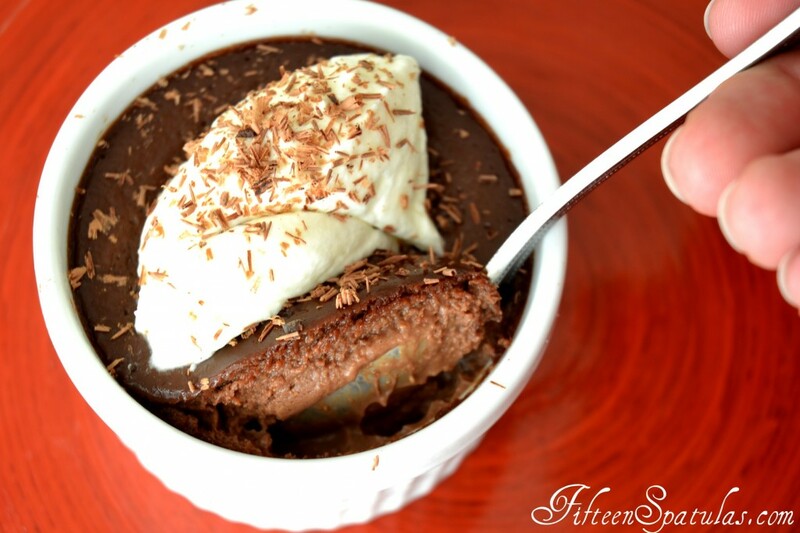 These make-ahead Chocolate Pots de Creme are silky, creamy chocolate goodness! Only six ingredients are required for a simple custard that's easy to prepare. It's topped with a White Chocolate Whipped Cream for extra decadence! To make the pots de creme, bring the heavy cream and milk to a bare simmer in a saucepan set over medium heat. Do not let it boil. Remove from the heat, and stir in the chocolate. Whisk until combined. 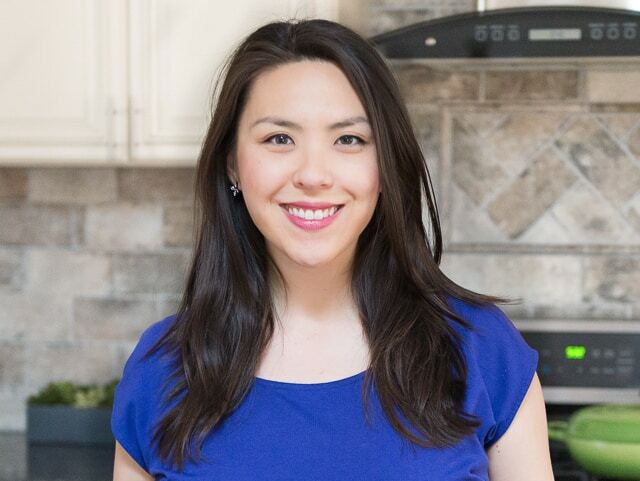 In a large bowl, whisk to combine the sugar, egg yolks, amaretto, and vanilla. 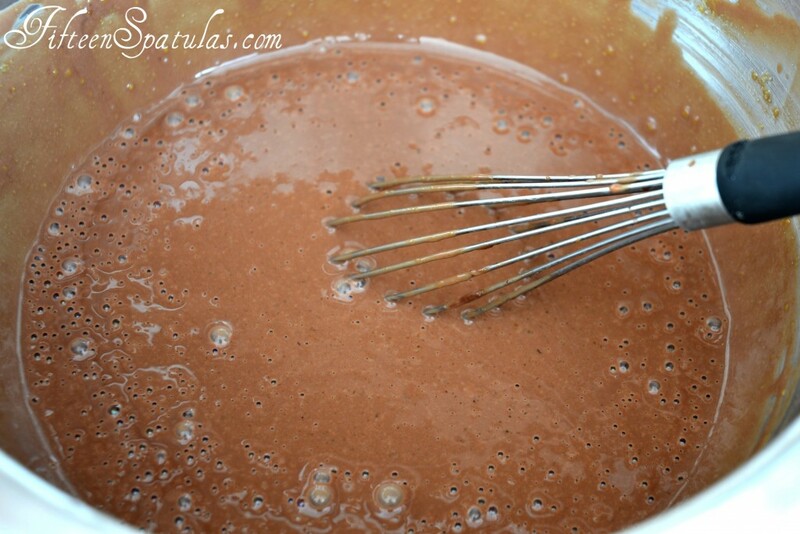 While constantly whisking, slowly drizzle in the chocolate cream. Once it is fully whisked in, strain the entire mixture in case you scrambled any egg. Pour the strained chocolate custard evenly into four 4-ounce ramekins, and place in a 9×13 baking dish. Cover each ramekin tightly with foil, and add enough hot water to come halfway up the sides of the ramekins. Bake for 45 minutes, until set, but still jiggly. Remove the ramekins from the water bath and chill for 3 hours in the refrigerator. To make the white chocolate whipped cream, whip the heavy cream and powdered sugar to soft peaks, then fold in the melted white chocolate. Dollop onto the chilled pots de creme. Enjoy! Oh yum I love chocolate pots de creme!! I just made them for dessert the other day with maple whipped cream. Yours look wonderful – I love the addition of amaretto and the white chocolate whipped cream sounds divine! Such an elegant dessert. Yum, it looks so cream and light. Mmm, this looks yummy and chocolate.